At the Syngenta Innovation Centre in Stamford, spraying for the OSR varieties, Campus and Charger, is well underway. The start to spraying was hampered by cold, wet and windy weather in early March, with the first trials application delayed until 21 March. The second application to different plots went on seven days later. Both varieties seem to have survived the cold weather, although Charger appears to have fared better than Campus. Charger might have benefited from its slightly smaller leaf area with the larger leaves in Campus looking a bit limp after the snow. Disease levels across both varieties remain low. 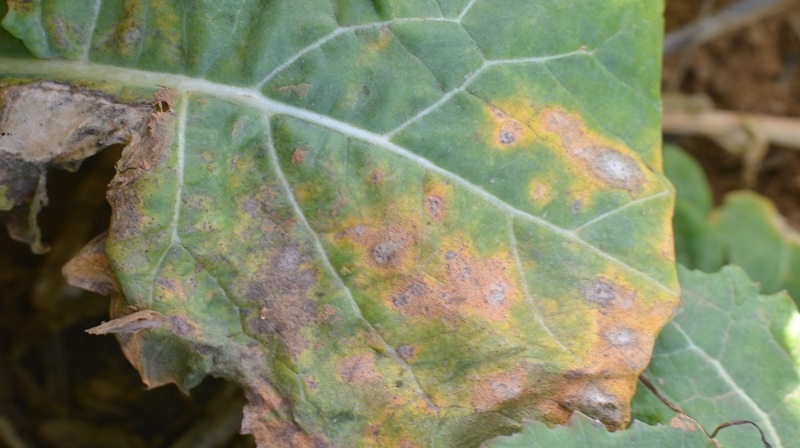 The older leaves where Phoma lesions were present before Christmas are senescing and many have been checked by the snow and freezing temperatures. The poor weather means good spray days have been in short supply and travelling conditions, even on foot, have been difficult. However, the speed at which the two OSR varieties are now growing, despite the weather, means flowering can’t be too far away. Winter wheat is also moving through the growth stages, with T0 applications due to start within the next seven days should spring ever arrive.